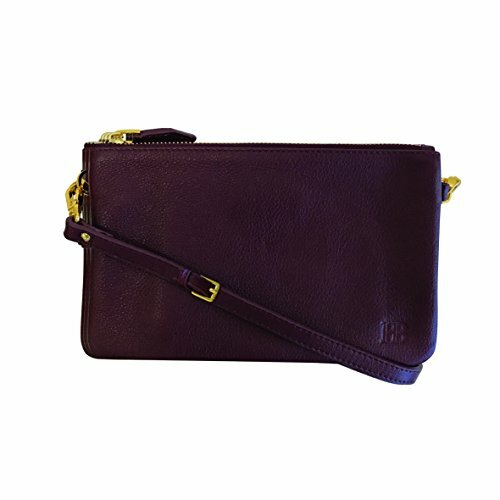 The Mighty Purse Trio Bag has a built in cell phone charger to charge on the go! The Mighty Purse battery is lightweight and concealed ensuring your accessory style is not compromised! It is compatiable with both Android and iPhone and comes included with an Apple lightning adapter, Micro-USB cable & Micro-USB C adapter. Simply plug the Mighty Purse battery into a USB port to re-charge it. The trio bag contains 3 zippered detachable compartments. If you have any questions about this product by HButler, contact us by completing and submitting the form below. If you are looking for a specif part number, please include it with your message.